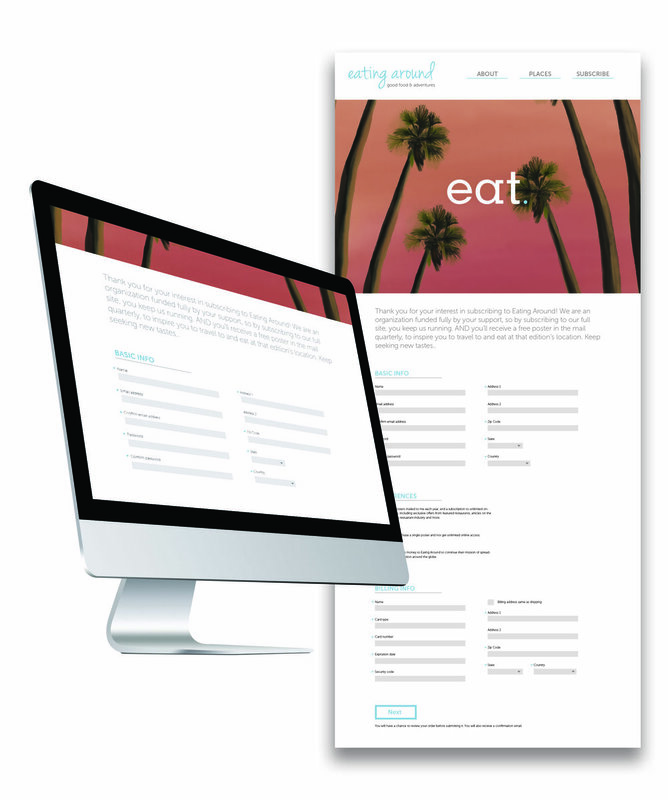 Create a web publication about food with a travel element, and design a poster as an incentive to mail to subscribers. The hand-painted posters and art elements for this website align with the audience’s appreciation of the finer things. Rather than going with photographic elements, the artist rendered the different loactions, giving this site something different. The website incorporates white space and bright colors to contrast the more organic feeling of the paintings.